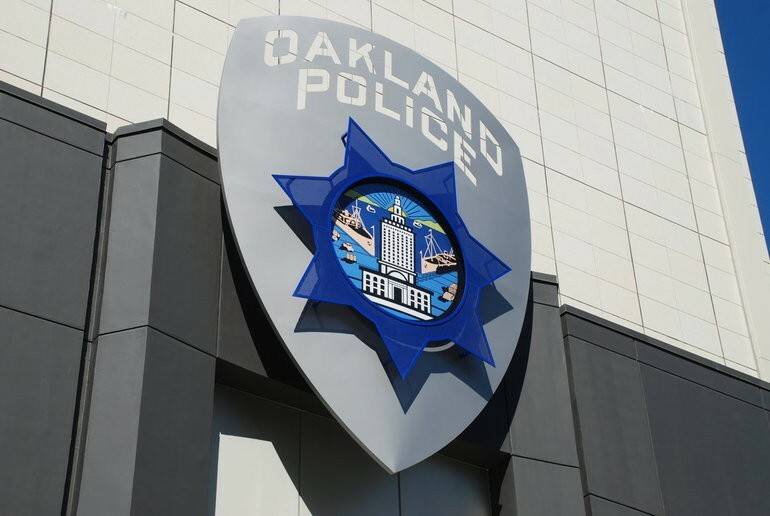 Five Oakland police officers were accused of lying about a 2016 narcotics sale. The city of Oakland will pay $50,000 to a Sacramento man who alleged that five Oakland police officers framed him for selling narcotics in a West Oakland parking lot in 2016. The drug case against the man was later dismissed by the district attorney. Shelly Watkins and Donna Reed were in Oakland on October 25, 2016, to attend a Bible study, according to a lawsuit they filed in federal court last year. Watkins had parked his car outside the 99 Cents Only Store on 7th Street, and while Reed was inside the store, Watkins asked a stranger if he had a light for a cigarette. In exchange, Watkins gave the man a cigarette and some pocket change. A few minutes later, after Reed had returned from the store and the two drove away in their car, they were pulled over by Oakland Police Officers Brandon Hraiz and William Berger. Hraiz and Berger arrested Watkins on charges of selling narcotics and took him to Santa Rita Jail where, according to court records, the police "forced Mr. Watkins to remove all his clothing and, while naked, to squat and cough." The police did not find any drugs in their search of Watkins' vehicle or the strip search at the jail. The police did confiscate $13 from Watkins, however. But three other officers involved in the arrest, Brenton Lowe, Cedric Remo, and Nathaniel Walker, attested that while they were conducting surveillance of the area, they observed Watkins selling drugs. According to Berger's written declaration, Lowe, Remo, and Walker "observed Watkins arrive on scene and meet with another male black," and that they observed Watkins sell drugs to the man. When uniformed officers later stopped the man, they "recovered one small clear glass rock like substance, suspected methamphetamine." Based on the officers' claims, Watkins was charged by the Alameda County District Attorney with sale of a controlled substance, a felony, and made to pay a $30,000 bond to get out of jail. After four court appearances, the district attorney dismissed the charges against Watkins in April of 2017. Watkins had to obtain an order from a judge to recover the $13 the police had taken from him. Several of the officers who arrested Watkins have been accused of racial profiling and excessive force in other cases. Lowe, for example, was sued in 2014 for participating in a violent arrest of a Black man who alleged that he was racially profiled by two BART police officers. At the time, Lowe was off duty and waiting for a train with his father, Frank Lowe (who is a retired Oakland police officer). Nearby on the same train platform, two BART officers stopped Albert Burleson because, according to the police, he fit a suspect's description. The BART police proceeded to tackle Burleson and cuff him. Lowe and his father assisted the BART officers by forcibly restraining Burleson, who was jailed but never charged with a crime. Berger and Hraiz were among the four officers who shot and killed Joshua Pawlik in March. Pawlik, according to the police, was lying unconscious between two West Oakland houses with a handgun. Officers surrounded him and fatally shot him when he failed to comply with orders, the police said in a press statement issued four months ago. The shooting is currently under investigation by the Oakland police and district attorney. The Oakland City Council is scheduled to vote on final approval of the $50,000 settlement with Watkins at tomorrow night's meeting.